The Social Security System, or the social insurance program for private employees in the Philippines, offers two types of loans: salary and calamity loans. Salary loans depend on the monthly wage of employees, while calamity loans can be obtained if they live in an area declared to have suffered from natural calamities. Here is how to apply for a salary loan from the SSS. Be sure to meet the qualifications and prepare the necessary requirements. A borrower or member must have 36 monthly contributions before the month of filing or 72 recorded monthly contributions if you plan to file for a two-month loan. If you are employed, your employer must have up-to-date loan remittances and monthly contributions on your SSS account. You must also have up-to-date payments of other loans acquired such as housing loans from the Unified Home Lending Program (UHLP). In addition, final benefits should not have been granted to you, including retirement and death benefits. You can treat the SSS Salary Loan as a personal loan from the government. You can use personal loan calculators and SSS Salary Loan available online to know how much you can orrow. To apply personally, visit an SSS branch and submit a duly filled-up application form that you can download from the SSS website together with your SSS ID or E-6 Form (if you do not have a UMID yet). In addition to this, you must have at least two valid IDs with your signature with one having your photo. There is a different set of requirements for applications whether the borrower will go to the SSS branch or an authorized representative will do it. You can check the accepted IDs and other requirements at the SSS Salary Loan guide. After submitting requirements, it will take three weeks to more than one month of salary loan processing. You can get your loan check from your employer if you are a full-time employee. Self-employed members need to pick it up from the branch. SSS members who are registered on their website can also apply for a salary loan online through the My.SSS portal atwww.sss.gov.ph. Log in your account at the My.SSS Online portal Click on E-services at the second navigation bar to get the drop down options. Choose Apply for Salary Loan to proceed with the application. Choose how much you want to loan. The drop down menu will only display available options based on your employment tenure and the number of contributions you have in your SSS account. Re-confirm your application by providing the mailing address and postal code where you want your check to be sent. Notify your HR Department that you filed an application for an SSS Salary loan. They will get a message regarding this at their My.SSS account and they must approve your application before it gets processed. The cheque will arrive at the mailing address you indicated with a stub that you must present to your HR Department if you are employed. You must encash it within 3 months from issue date at any PNB branch, otherwise, it would be void. If you are an Overseas Filipino Worker (OFW), you can also apply for a salary loan by going to the SSS Representative Office located in selected countries. However, if there is no SSS office in your location, you can authorize someone in the country to file on your behalf. As a reminder, employees should make sure that their employer submits an updated SS Form L-501, which is a Specimen Signature Card updated yearly. 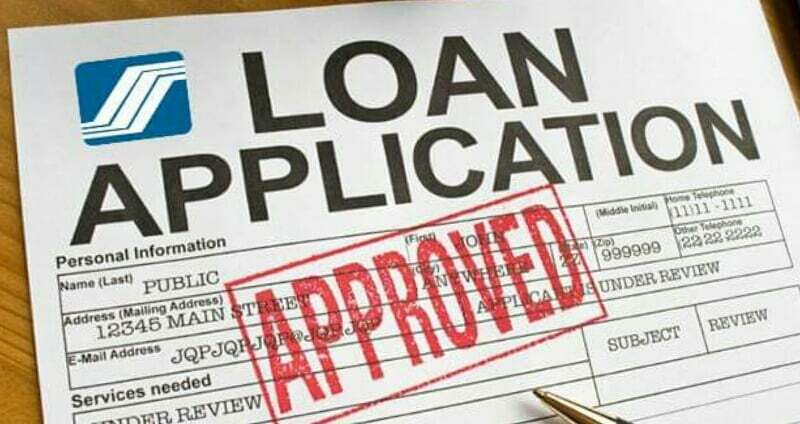 This is important to avoid delays in processing the loan. SSS salary loans are easy to file and are affordable to pay. You can take advantage of this offer and try to apply once you have made 36 or more monthly contributions. Monthly payments will be deducted directly from your salary, so you must be ready to budget expenses in subsequent months and use the loan proceeds for emergency or important expenses.